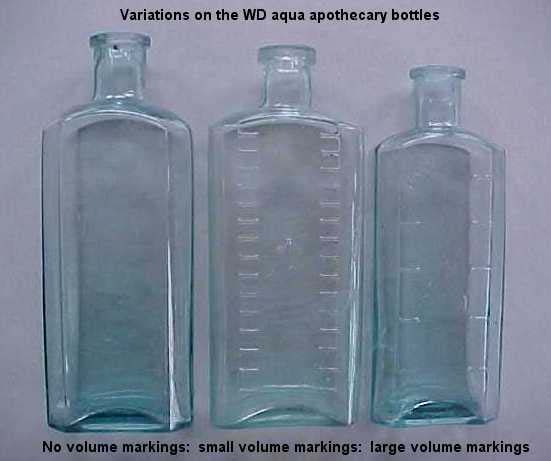 A ship's doctor would store his medicines in a wooden partitioned box, each bottle with a number indicating it's contents. 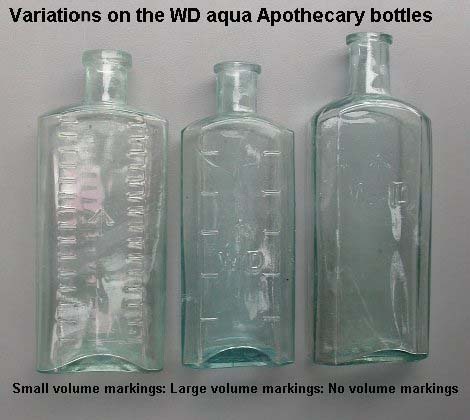 Since these bottles would be refilled each time the ship returned to port, the bottles are scarce. 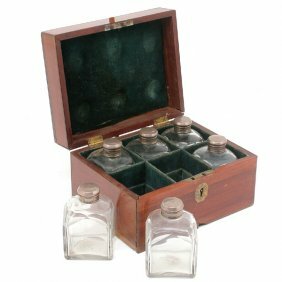 This example is not an actual military chest, but is included to give an idea how the bottles might be stored in the surgeons quarters. 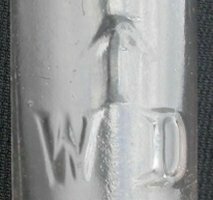 Colourless medicinal type vial with "WD"
Diameter: 2.5 cm. Height: 9.0 cm. #501024: Description: Round solarized (purple) medicinal type bottle, pre 1914. 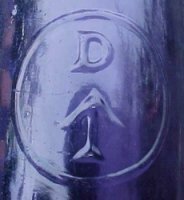 With D in a circle. This bottle would have been clear to start. 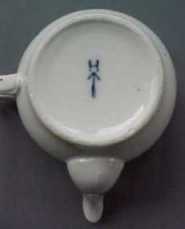 Diameter: 5.3 cm. Height: 17.0 cm. 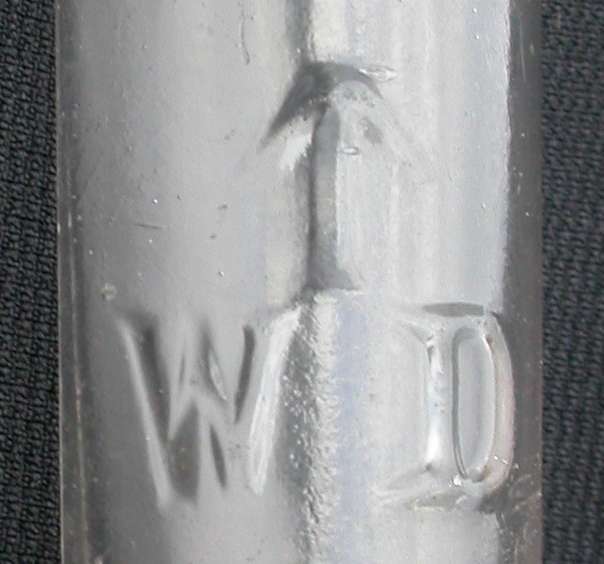 This vial has an anchor embossed under the arrow. 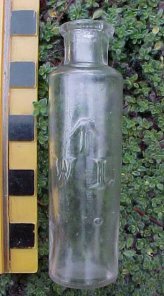 This bottle was found in Atlantic Canada. 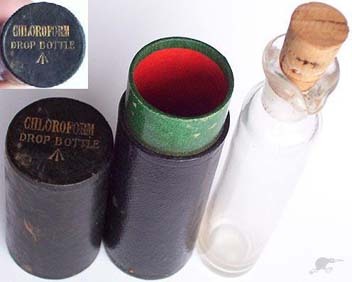 This small vial is marked with an F over the arrow. 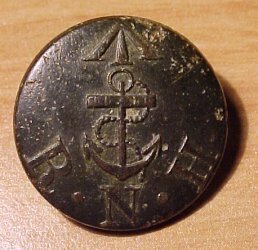 This photo was taken with permission in the Naden Naval Museum, Esquimalt, B.C. 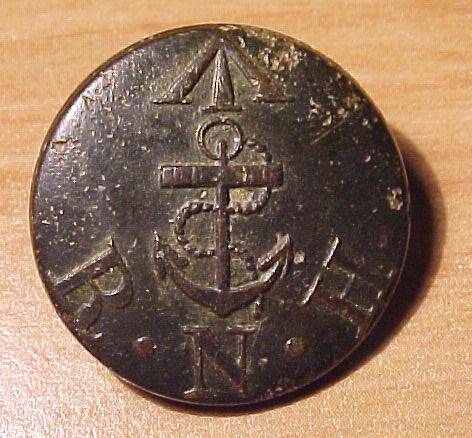 This was one of my original collection that I donated to the Museum and had been acquired from divers who claim it had been found in Esquimalt Harbour. 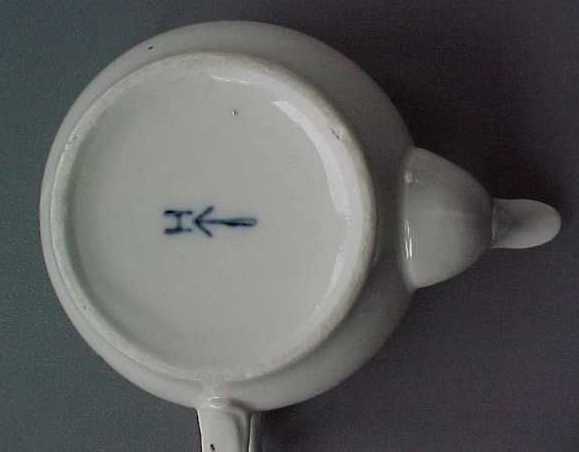 This small vial is marked with an E over the arrow. 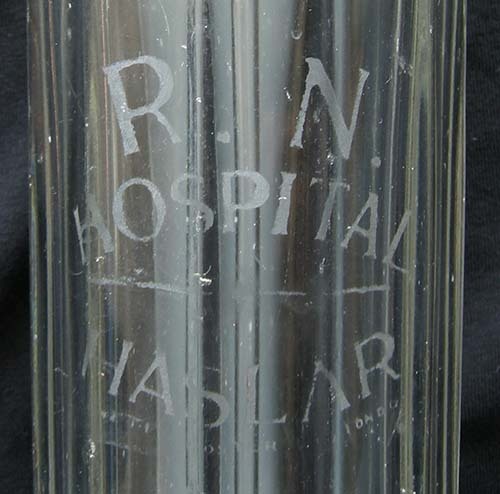 The E on this bottle may stand for Engineering and possibly contained something like a fine lubricating oil. This photo was provided by a collector from Atlantic Canada. 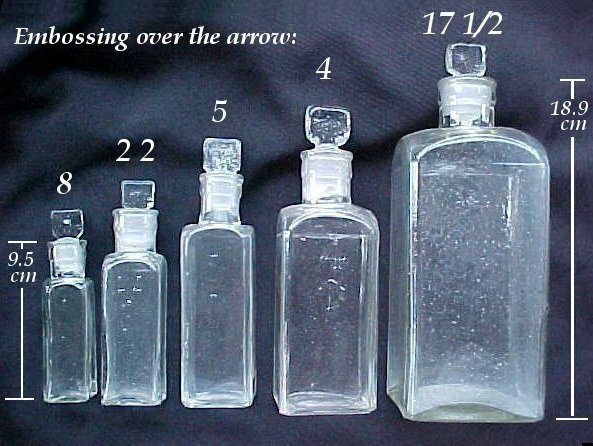 Although dimensions were were not provided the vial appears to be quite small. 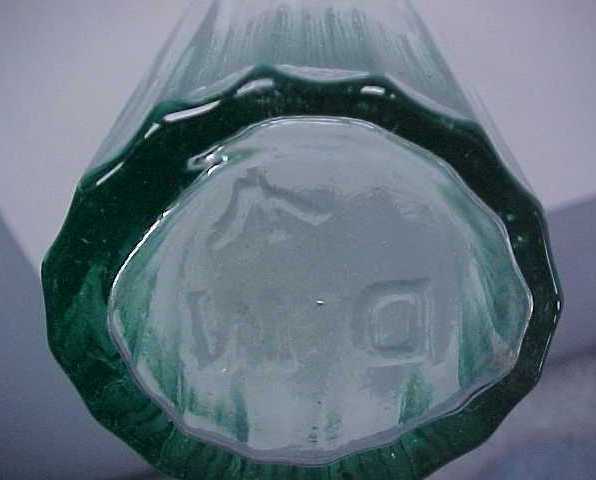 The contributor stated the bottle has a pontil mark on the bottle which would date it to some time prior to 1850. 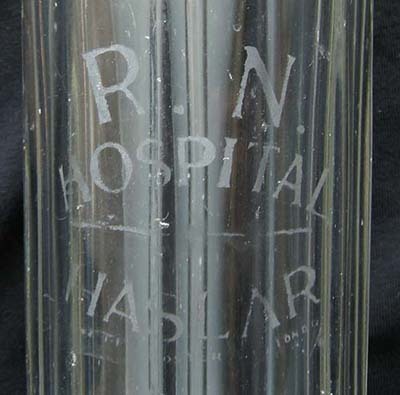 Siphon bottle from Royal Navy Hospital Haslar, England. 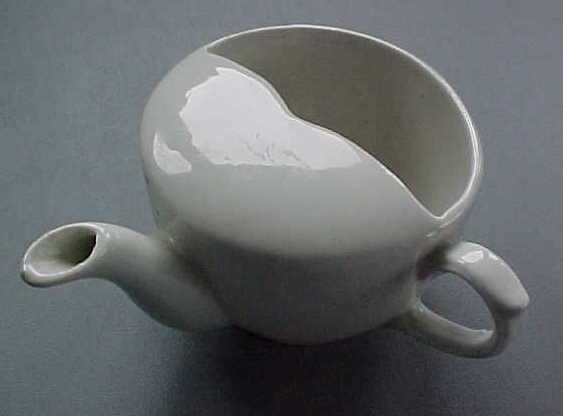 Manufactured by Barnett & Foster, London. 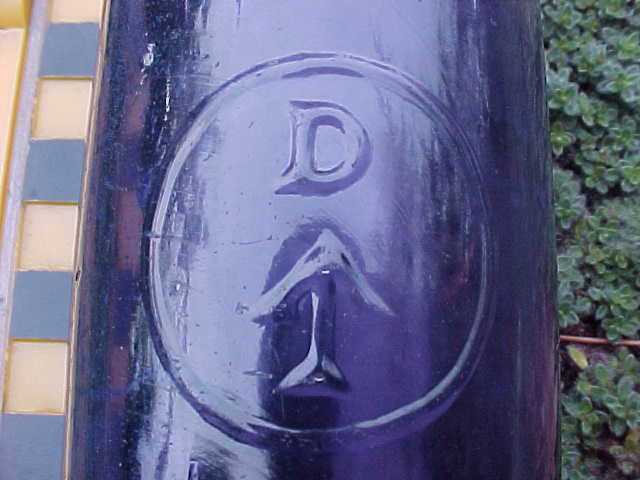 The base has an offset Owen's ring and the base was also ground flat to stand properly. It has 12 fluted sides. 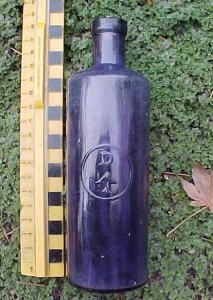 The bottle likely dates to prior to or during the Second World War. Although it may have originally had a metal top, nylon was extensively used during WWII to free up metal for the war effort. Height: 30 cm Diameter 9.5 cm. 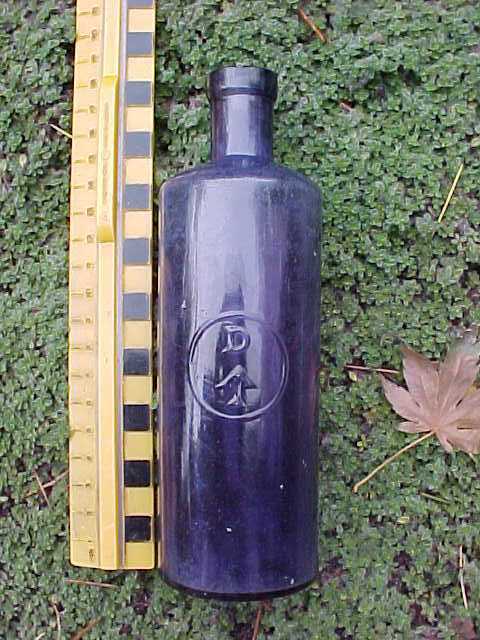 #401025: Aqua Apothecary or Sauce bottle - unusual with the marking on the base with WD arrow reversed as if a mirror image. 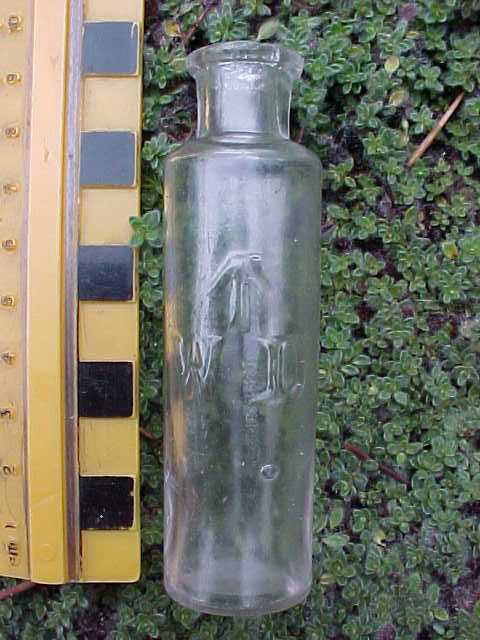 All of the bottles I have seen of this sort have turned up near Esquimalt. Diameter: 4.6 diameter Height: 21.5 cm.